Last week on Instagram, a friend and fellow Interior Designer, W Interior Concepts based in China, posted an image of waterproof wallpaper. Yep, you read that right waterproof, as in showerproof! I have been completely smitten by it ever since. 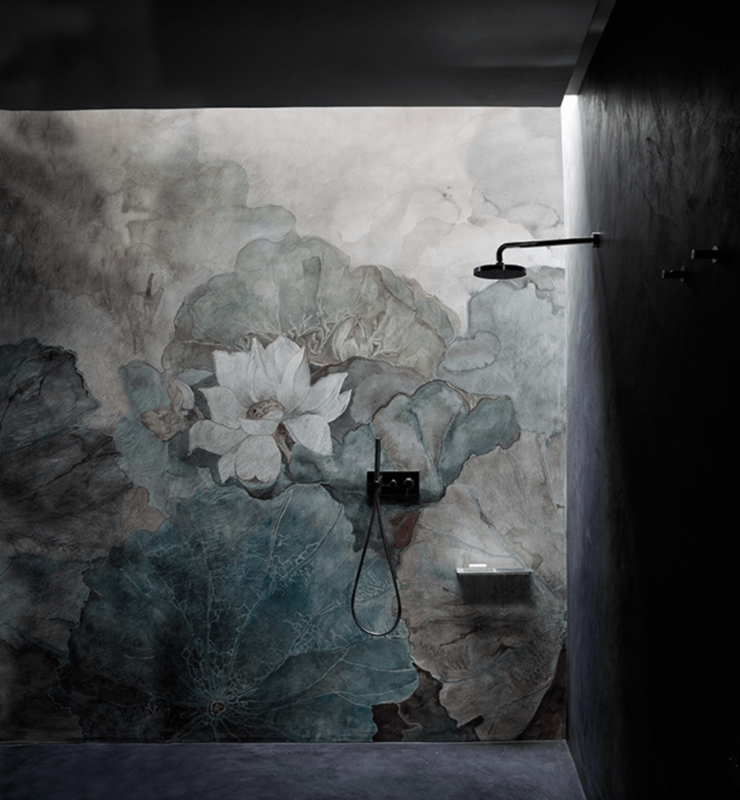 This Wet System™ wallpaper has been developed by Wall and Deco, an Italian company. 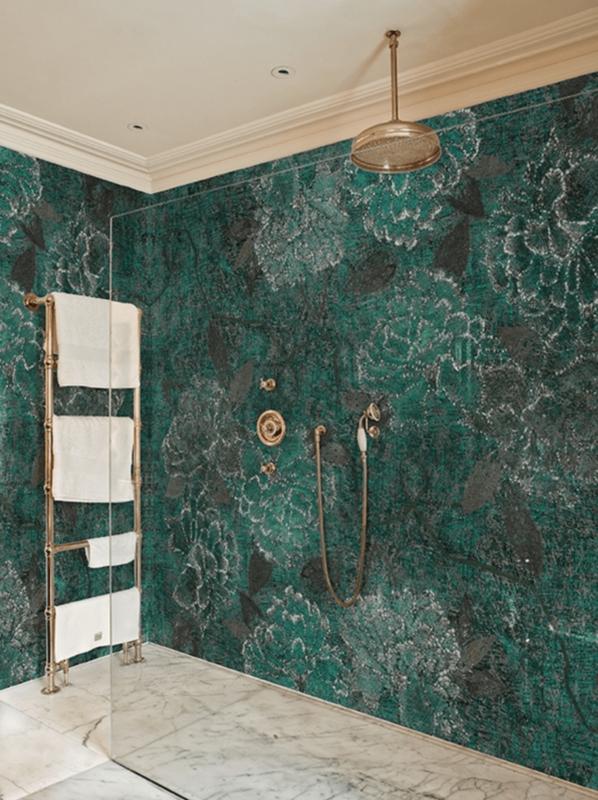 It not only combines waterproof properties of liquid membranes but is also highly decorative wall finish for damp environments such as bathrooms and shower rooms. It’s completely watertight, and their designs are simply STUNNING! These highly decorative designs come with a semi-gloss finish, which is resistant to yellowing and holds up under cleaning detergents. It’s suitable to apply to surfaces such as cement, plasterboard, concrete, glass and even ceramic tiles. Sadly, they only appear to have offices in Italy, Miami and Singapore. So unless you’re planning on moving (and I personally wouldn’t mind a move to Italy), we will just have to window shop for now. There’s also no mention of price. So one can only presume that we are looking at quite an expensive means of decorating our bathrooms. 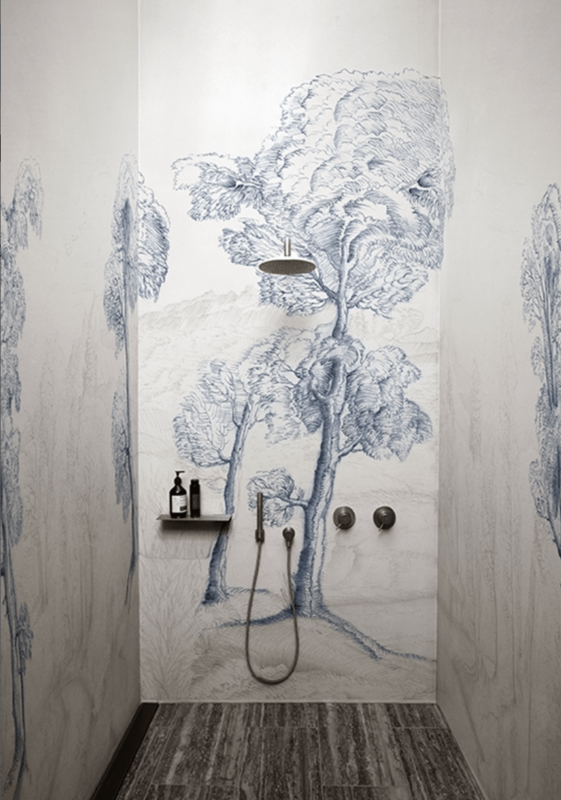 Although, if I could afford to have my bathroom or shower room looking like a work of art, I most definitely would! With the chances of winning the lottery at a big fat Zero, I will add these beautiful designs to my growing list of I WANTS!! On a positive note, I’ve been researching some alternatives available here in the UK. Or rather, my desperate attempt to find something similar. I must confess I didn’t, (sighs), but I did discover alternative waterproof wall coverings for our bathroom spaces, namely wall panels. 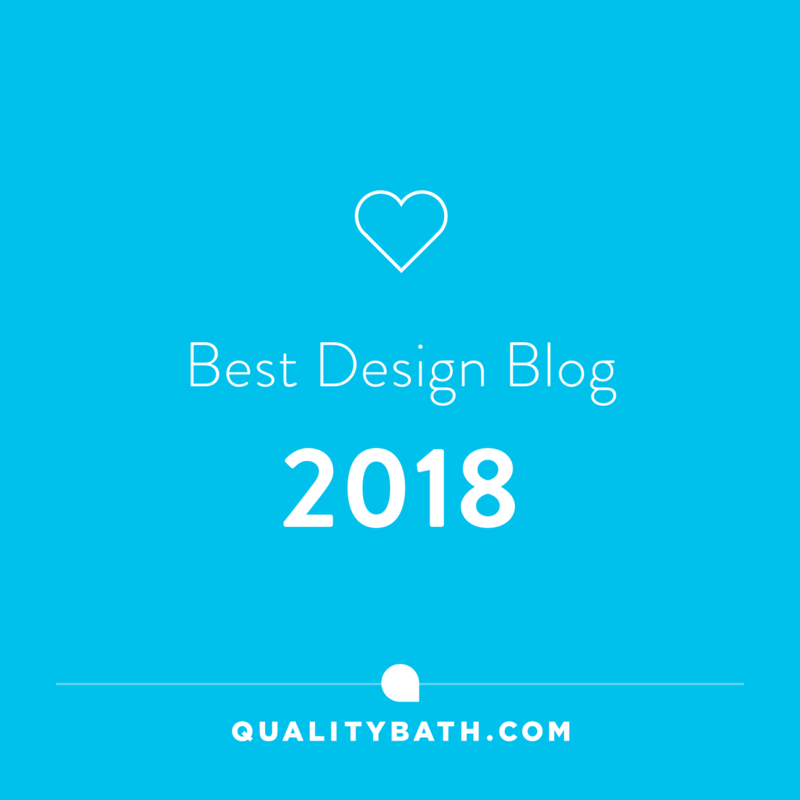 And, although they may not be as artistic as Wall and Deco’s, they are affordable and offer a streamlined look to shower/bathrooms. There’s also the added bonus of no grout lines to keep clean. Yay!! 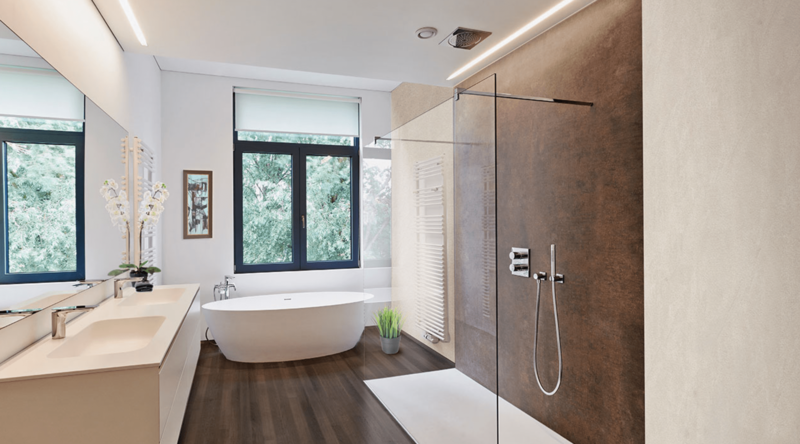 If you’re looking for an alternative to tiling or decorating your bathrooms without too much hassle, you may want to consider waterproof wall panels. As I discovered, there’s plenty to choose from. 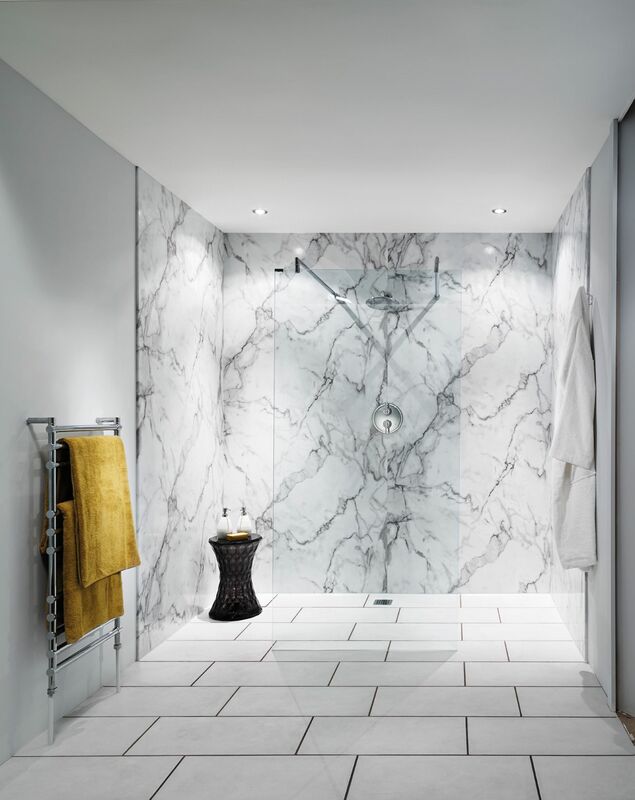 Here’s the low down on waterproof wall panels, also known as shower panels. Although there’s plenty of finishes and textures to choose from, they can’t compete with the staggering wealth of tiles on offer. Although this could be seen as a good thing if you find it hard to make decisions. If in the eventuality a panel is broken, you have to replace the whole thing, unlike a broken tile. I’ve put together some waterproof wall panel inspiration below for you, so you can see just how great these can look. Nuance is an award-winning bathroom wall panel system specially created for showers, wet rooms and around the bath. They have a wide range of designs to choose from and as you would expect are 100% guaranteed waterproof. 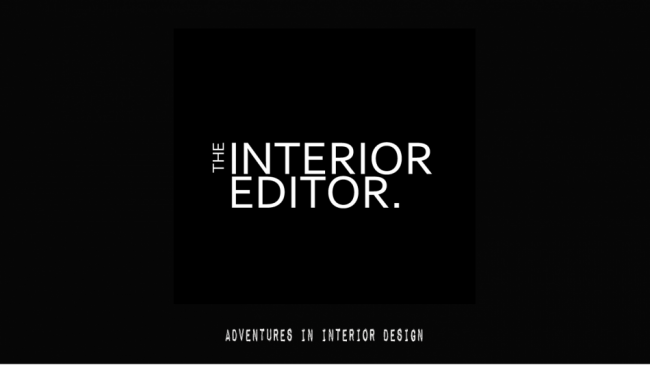 The above Dolce Macchiato is my favourite by far, providing visual warmth to what is often a cold looking space. 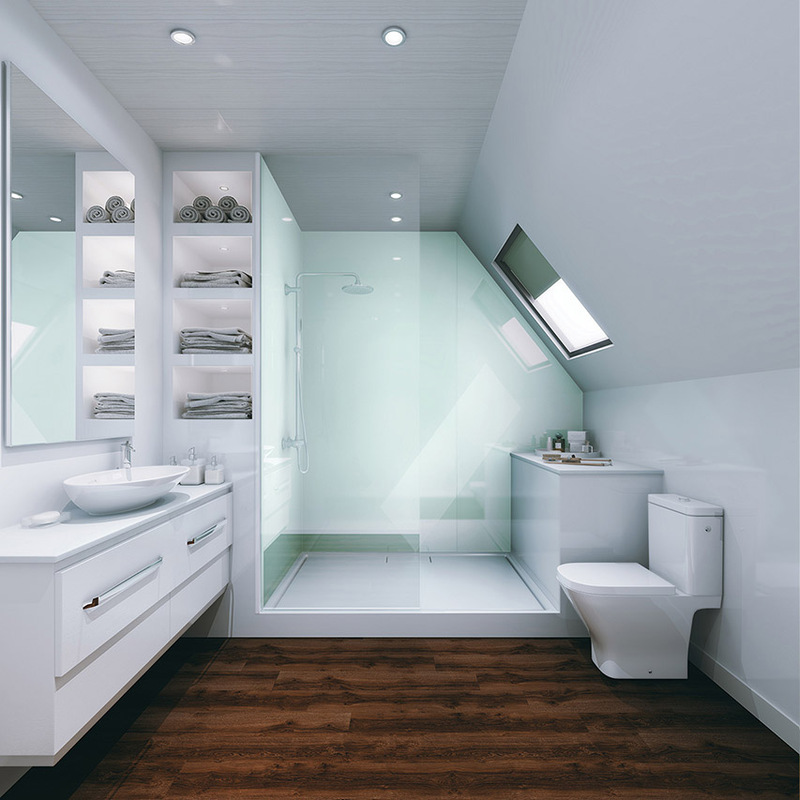 There are plenty of bathroom suppliers who offer these Nuance panel systems, such as Rubberduckbathrooms. If you’re hot on this year’s marble trend then the Calcutta Marble, may just be right up your street. And there’s the added bonus of it being a lot easier to care for than the real thing. 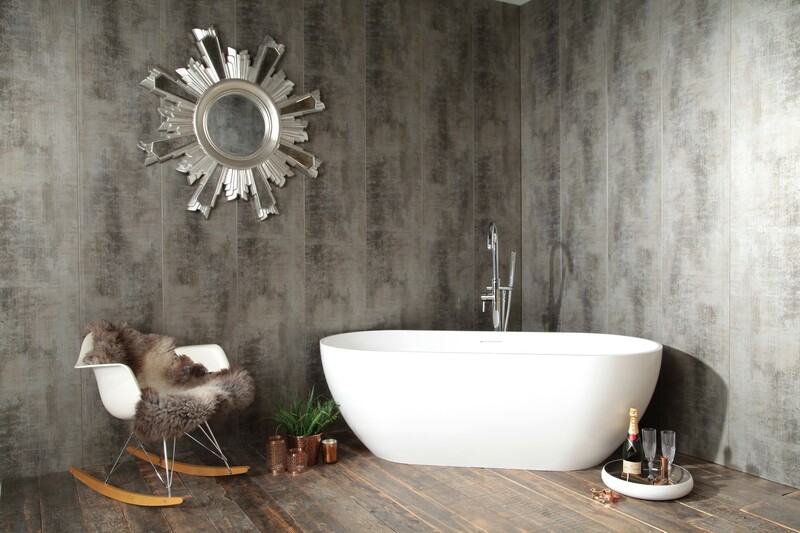 Showerwall are specialist suppliers of easy to fit waterproof panelling systems. These are moisture resistant MDF core and high-pressure laminate backing which ensures a smooth, watertight finish. 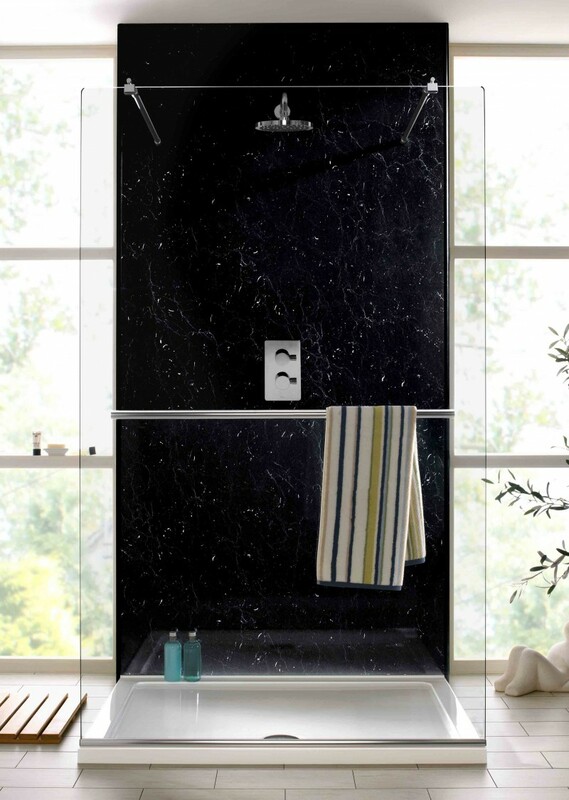 The above panelling is Showerwall’s timeless black marble design from their range of hard-wearing, stain resistant and totally hygienic products. Showerwall has also launched a designer collection, Showerwall Infinity, which includes two super-matt, soft touch additions. The Grigio Efeso (soft grey) and Rosa Colorado (Blush pink) are bang on trend for those who want their bathrooms to be up to date. These panels use a SMART material, called Fenix NTM. It’s self-healing and has a true lightfast matt surface that never shows fingerprints. It’s also super hygienic with antibacterial and anti fungal properties. Great if you’ve got little ones, or if you’re a bit OCD on the cleaning front. It also boasts colour depth and colour fastness so if you find your shower/bathrooms receive a lot of sunlight, it won’t discolour. Multi Panel classic wall panels are made from 9mm waterproof plywood core with a high-pressure decorative laminate bonded to the face. There are a range of surfaces to choose from either standard or premier. There’s also a good selection of colours and textures to suit most bathrooms with gloss or textured finishes. I liking this bronze number above. 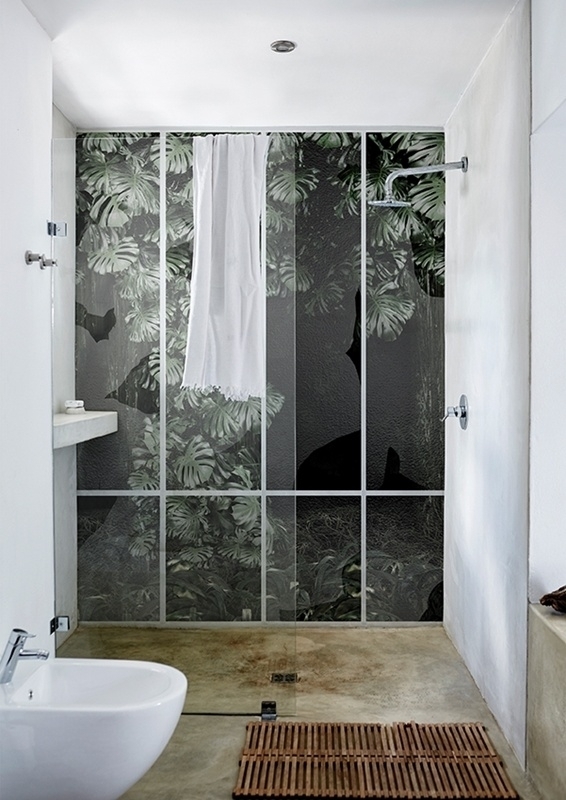 Multi Panel also has a range of dual layered acrylic panels that create the illusion of glass. There’s a great range of colours to choose from. They have a super gloss finish to them that will help reflect light into the darkest of bathrooms. 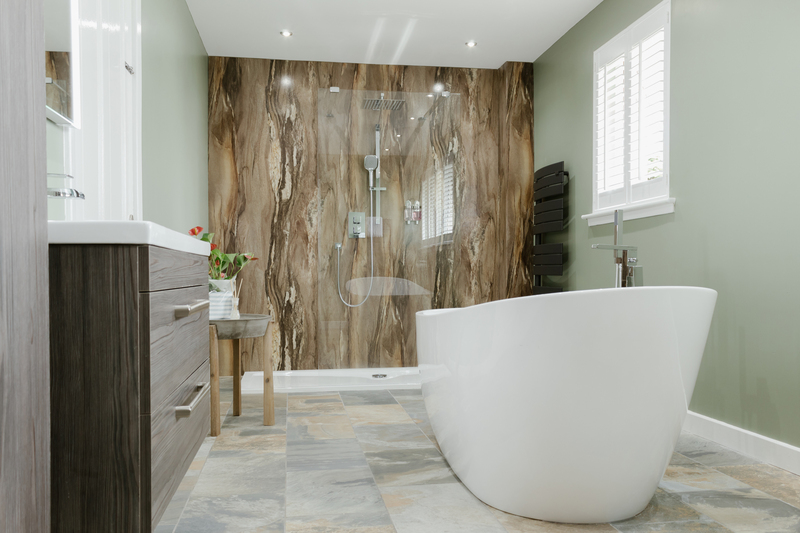 DBS (Decorative Bathroom Suppliers) stock a range of waterproof wall cladding in a variety of widths, colours and finishes like this fired earth number above. If you like the look of tiles, but don’t want the hassle of cleaning those grout lines, this could be the one for you. Again, these are easy to install, easy to maintain, and hygienic. I hope you’ve enjoyed today’s bathroom inspiration, and as always, thanks for taking the time to stop by. Hi Amanda, I don’t quite know how I hadn’t come across them before. They certainly add a different look to tiles. 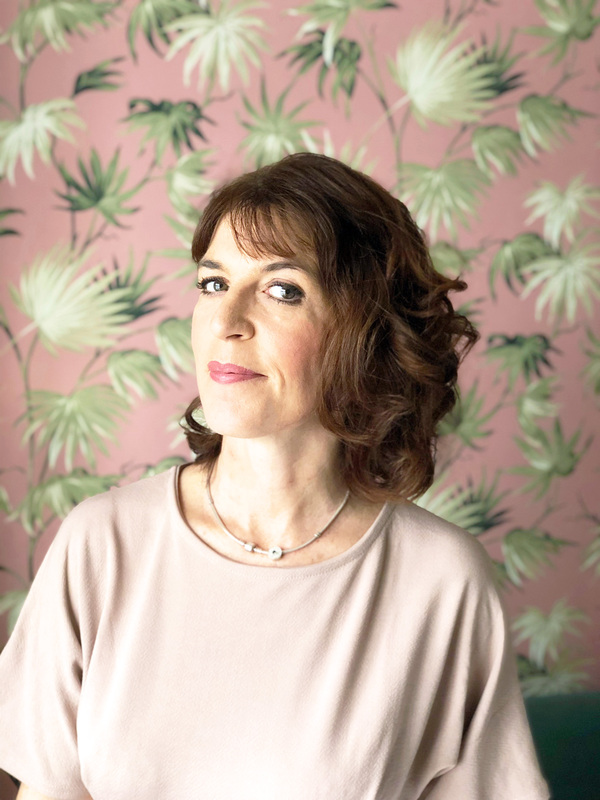 I am seriously still obsessing over the Wall and Deco waterproof wallpaper!